See? Even the boys rock the Swim Bike Mom gear! 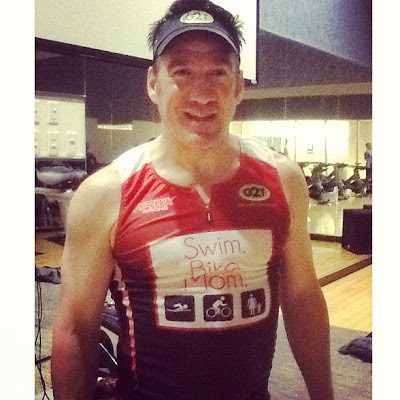 Thanks to Mike “McBlessings,” Founder and President of the Getting2Tri Foundation, for rocking out the SBM kit in his spin class this AM! I had a 1600m swim this morning, and it was good. That’s all I’ve got to say about that. Swimming and planning on spinning Friday. Moving forward, wishing I could go faster, but learning the art of patience. PS – Kits are available for order through April 6th only! Go here to place your order.